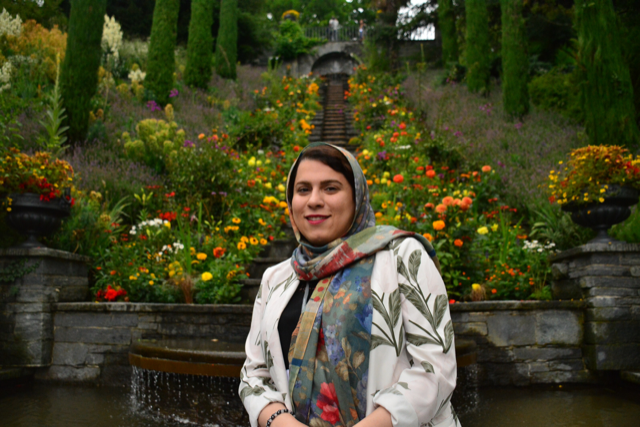 Before the 68th Lindau Nobel Laureate Meeting, I interviewed several talented female participants about their career path, their passion for science, their struggles and successes for my “Women in Research” blog – a blog to increase the visibility of women in research. Now after the meeting they shared their #LINO18 highlights with me. Be prepared to be blown away! 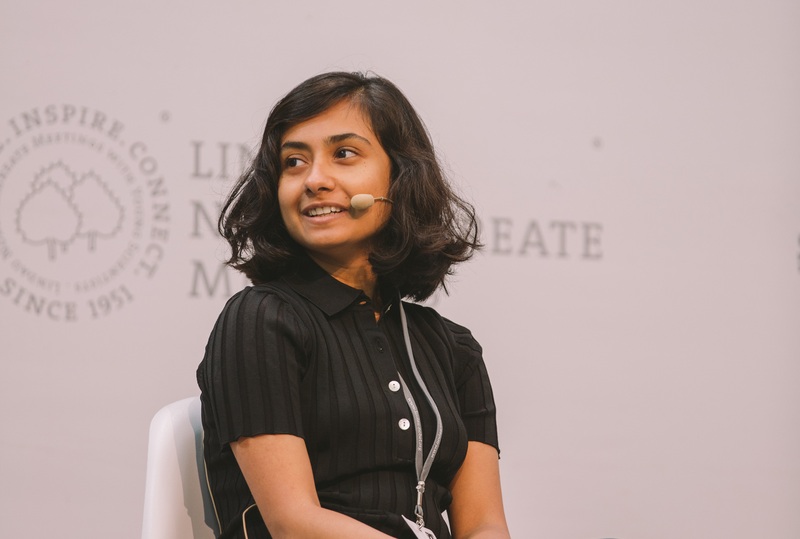 Future #LINO19 participants may find more information about the application process here. 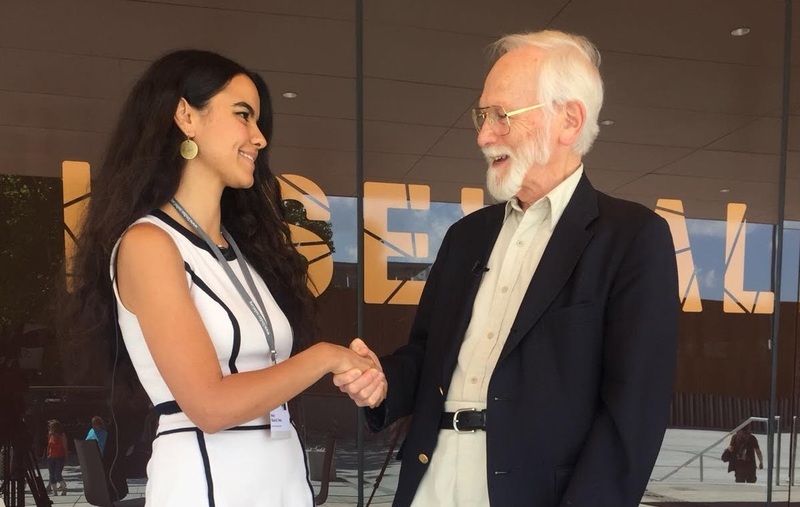 “The Lindau Nobel Laureate Meeting was honestly one of the most surreal experiences of my life. The chance to hear and talk to some of the laureates was a super exciting thought, and it didn’t disappoint. From Richard Roberts’ impassioned talk on how the anti-GMO campaign has led to the unnecessary death of millions of people to Martin Chalfie’s joking advocacy for slightly sloppy science when starting something new, I learnt not about my specific branch of science, but much more about the scientific landscape and our role as young scientists in it. A question the laureates get constantly is “How do you win a Nobel Prize?”, but I think the much more interesting one is “What do you do IF you win it?”. A common theme was that after the prize, you really are in the limelight and have a platform to make change. Two examples of Nobel Laureates using their prizes to change the scientific community are Harold Varmus and Randy Scheckman, founders of PLOS one and eLife, respectively, who I was lucky enough to be on a panel with (along with EMBO President Maria Leptin and Springer Nature CEO Daniel Ropers) to discuss the role of ‘Publish or Perish’ in shaping the careers of young scientists – a life changing and exciting experience that’s going to be hard to beat! “Every young person with an interest in science should go to this event! Trust me, I’m a Doctor. The meeting was like a conference on steroids – every speaker a keynote, and the programme packed – I doubt I got more than five hours sleep a night. The Nobel Laureates discussed both their work and their life journeys. 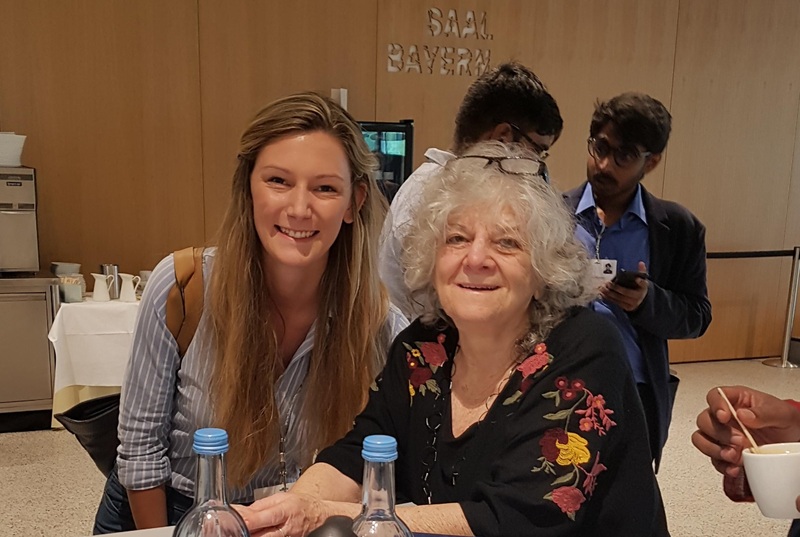 Ada Yonath gave a particularly clear, concise, and engaging talk about her research on the ribosome, but she also spoke about her family and the families of her colleagues. She is proof that woman can have multiple roles in their working and personal lives and more importantly that it shouldn’t even be a big deal anymore. 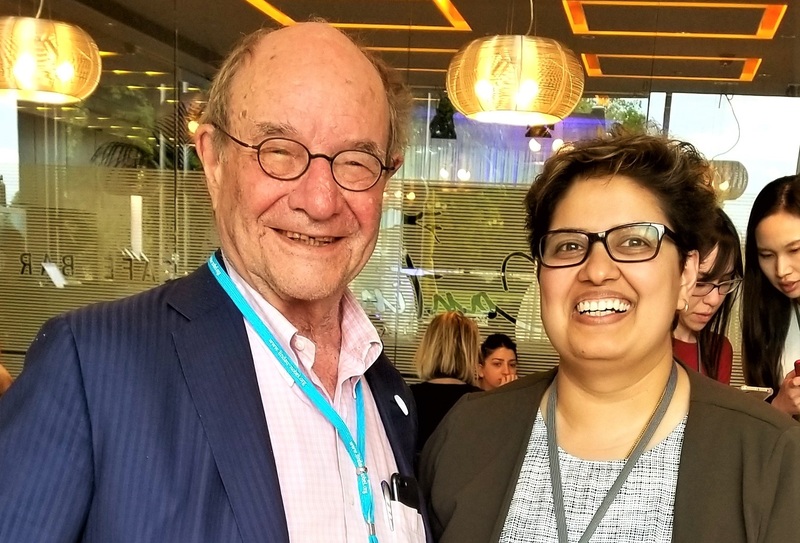 For me one of the nicest things about Lindau is the opportunity to connect with the Nobel Laureates on a personal level. Sitting next to Michael Rosbash for dinner and discussing our mutual respect for the determination of sports-people was something quite surreal. Lindau showed that Nobel Laureates are not that different from the rest of us – (in some cases) they still look forwards to a nice cold beer at the end of a long day! 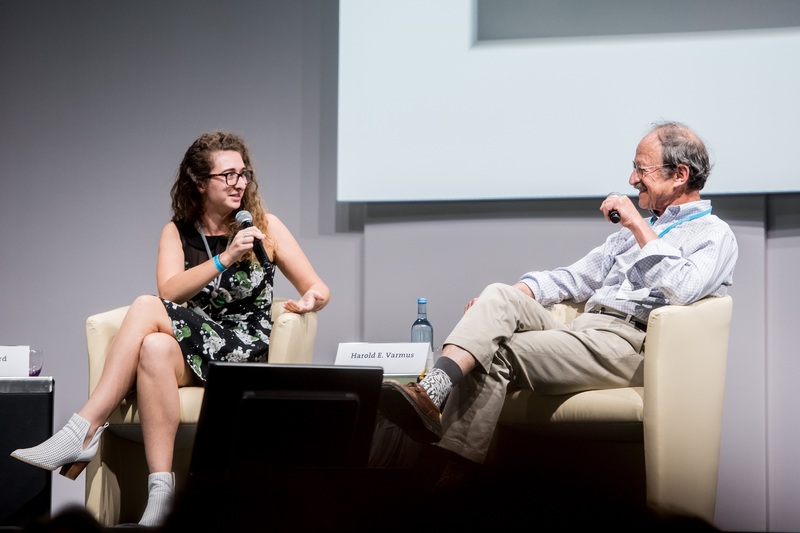 During our time at Lindau the differences between the young scientists and the Nobel Laureates began to blur – they were sympathetic to many of the challenges facing those who are working in science. I think that this is important to take away from the meeting – even the pinnacle of scientific achievement can be reached and surpassed – not by heroes but by people, with a little hard work, luck and an inquisitive mind. Many of the laureates used their notoriety associated with the award to pursue political issues. We already know the answers to many of the health issues affecting millions of people but often we choose not to help people. During a lunch with Peter Agre, he talked at length about his recent work as an advocate for improvements in global health (particularly focused on Malaria). I think these individuals should give us hope. I think we need to find our voices as advocates without first having to get a Nobel Prize and really speak up for the issues that still exist not because of a lack of understanding but because of a lack of political will! As you may have realised, the conference was pretty inspiring! “My first impression and a joy-dropping moment was finally being able to see, speak one-one and shake hands with the Nobel Laureates. I have always read about the Nobel Laureates in textbooks and seen them on TV and the internet, so that moment when I finally saw and interacted with them was priceless. I enjoyed the talks by laureate Elizabeth Blackburn. She is one of the people that I look up to as a female scientist and Nobel Prize winner. Her talk on global science is something that is very close to my heart since I engage a lot in science communication for the public in disadvantaged communities. The talk captured my attention and ignited more hunger in me to do more in terms of sharing science with the public. “What I loved the most about Lindau was to hear of each laureate’s journey from their training to their important discoveries. It made me appreciate that each one of us has a unique path ahead of us and that there is no standard blueprint for doing research. Indeed, most laureates stressed the importance of enjoying our work instead of actively planning for a career. It was inspiring, comforting, to hear of their serendipitous discoveries, their errors and of the times they had faltered. It made me understand that no one miraculously conceives of an award-winning experiment or wakes up one day to write their career-defining manuscript. It takes time, effort and a bit of luck. Bottom-line: there is no scientific way to doing science. It is important to understand this, because we often get sucked into habitual pessimism given our frequently failed experiments, paper rejections, unsuccessful grants and so forth. What the laureates taught us is that it is okay to fail, that they, too, have faced such instances numerous times over their scientific careers. “The 68th Lindau Nobel Laureate Meeting exceeded all my expectations and definitely was a once-in-a-lifetime experience. I have met many inspiring people from all over the world, of all levels and ages, ranging from undergraduate students to Nobel Laureates. Right from the start, everyone was so enthusiastic and friendly! All participants, each with his or her own cultural and professional background, had one major thing in common: a strong passion for science. It was amazing to see how such shared ambitions are sufficient to let people connect, inspire and motivate each other, while creating a sense of belonging between people from not less than 84 countries. It must be the so-called Lindau Spirit! The meeting was extraordinarily well organised. The programme was highly diverse and interactive and not dedicated to any specific research field in particular. 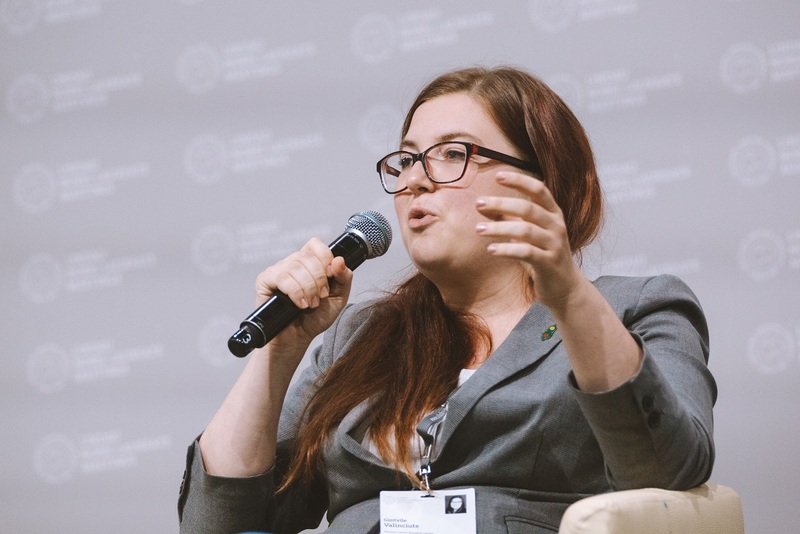 On the contrary, we mostly discussed the more global issues which all scientists are confronted with, regardless their field of interest or level – such as science and society, leadership, impact factors and how to choose your career path. Therefore, the Lindau Meeting offers unique opportunities to exchange experiences with other researchers; it really allows you to broaden your horizon. “The 68th Lindau Nobel Laureate Meeting was an amazing experience full of interesting people and inspiring interactions. I felt as a part of something bigger, an international, caring and active community of people who either shaped the science as it is today or will create the science of tomorrow. Every lecture, every workshop, even the discussions in the line for lunch were enriching and very positive. Personally, I enjoyed the discussions on science communication, career choices and current problems of science the most. I believe 600+ people from all around the globe putting their heads together to solve few of the discussed issues could make a great impact on society. Another personal highlight for me was the panel discussion “Challenges in Personalised Medicine” where I was invited to be a panellist. Even though I was nervous, I enjoyed being able to contribute to the meeting with ideas of my own. 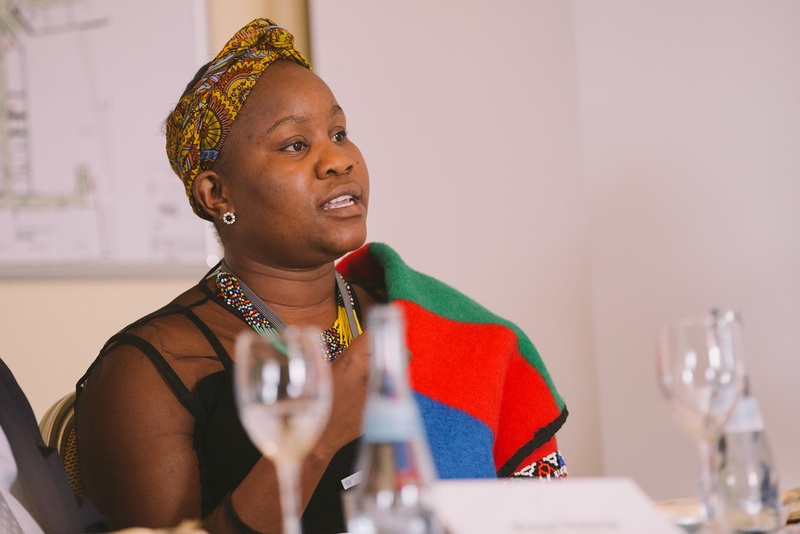 “The 68th Lindau Nobel Laureate Meeting was a true inspiration for me. The lectures, Agora Talks, science walks and discussions were really enlightening, as they touched on many different topics including publishing, ethics, clinical relevance of research and how the world can benefit from science. I enjoyed listening to the various talks and learning new lessons that will help me along my career in science. These lessons include the importance of basic research, which is mainly driven by curiosity and passion. The laureates described their research with great passion and explained how their findings were not planned, but their hard work and persistence enabled them to explain new mechanisms that no one understood before. I also realised the importance of facilitating the application of research findings to solve global problems. For example, Sir Richard J. Roberts discussed the issue of strict regulations that delay the usage of genetically modified food, which could be a great solution for eradicating hunger in Africa. The discussions with Prof. Randy Schekman taught us that science should be judged by its quality rather than where it is published. Finally, all laureates explained that the drive behind research should be the curiosity to answer specific questions and not rewards and prizes. “No words can do perfect justice in describing the week at the 68th Lindau Nobel Laureate Meeting. It was an extraordinary and unforgettable week, and it was truly inspiring in all aspects. The meeting provided the perfect platform to share the experience and knowledge of the greatest leaders in science with the next generation of scientists to encourage us to work hard for the benefit of mankind. A common thread existed among each of the laureates’ stories and their path to success: curiosity, tenacity, persistence, creativity and enthusiasm. The opportunity to meet these great minds allowed me to better appreciate them not just as Nobel Prize winners but as individuals who have overcome many of the same obstacles we all face in our pursuit of science every day. All their stories have resonated with me and will continue to inspire me to never give up and to never lose sight of why I chose to pursue science. The broad diversity of topics discussed in the newly introduced Agora Talks at this meeting was impressive, ranging from the laureates’ journey to the Nobel Prize to personalised medicine to careers in science. It was inspiring to witness the motivation and passion these laureates still showed after decades of pursuing scientific research. 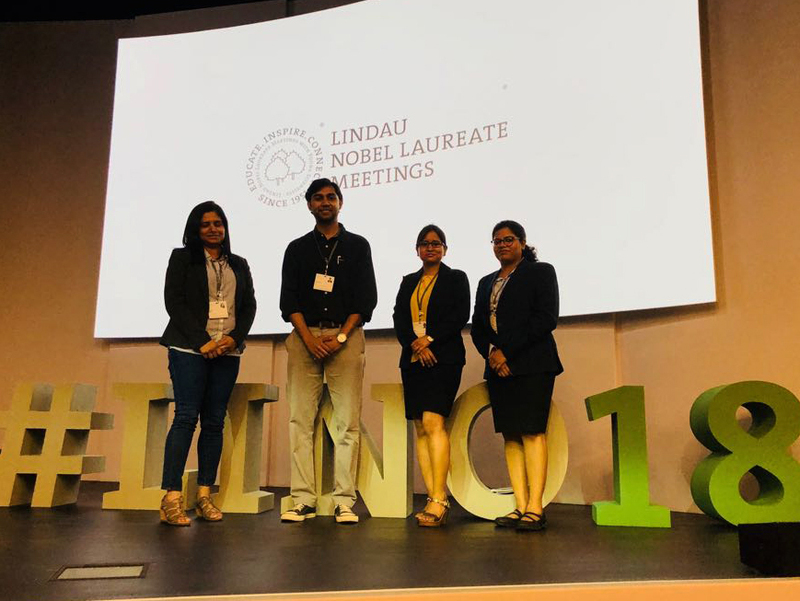 “The 68th Lindau Nobel Laureate Meeting was indeed a once-in-a-lifetime experience and it by far exceeded our expectations. The scientific spirit around the Inselhalle and the entire Lindau island was phenomenal. We got the chance to meet with Nobel Laureates in many interactive settings, including agora talks, open exchange and the master classes. 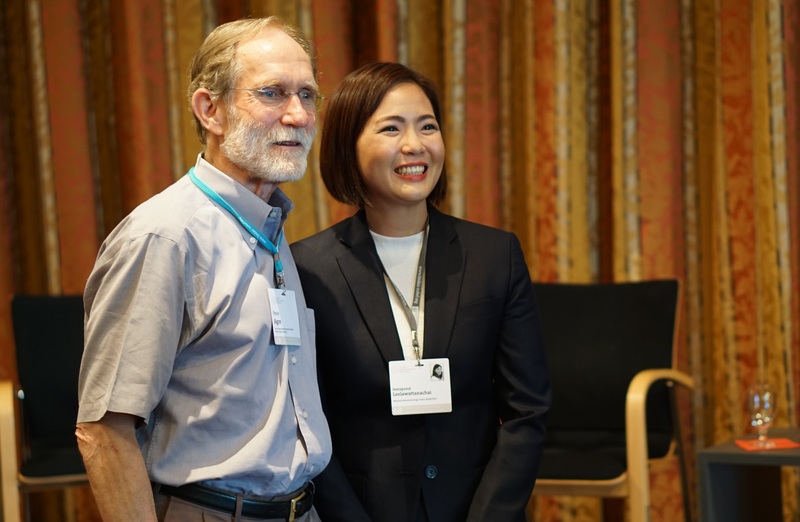 I was very honoured to have gotten the chance to participate in a panel discussion along with Nobel Laureate Prof. Peter Agre on “Medical Innovations in Developing Nations”. I also was very honoured to conduct a video interview with one of my hero Nobel Laureates Prof. Michael Bishop, and got the chance to attend all the events and various lectures by Laureates, which we learned a lot from. Being able to connect with 600 talented young scientists from all over the world was very fruitful. We all discussed our scientific projects without any boundaries, and we also shared insights and experiences on future collaborations and scientific advice, be it exchanging ideas regarding experimental procedures or asking each other very insightful questions, which made us think of our research projects from various perspectives and multidisciplinary fields. One of my favourite moments was when I held the farewell speech on behalf of the young scientists to thank everyone that made this meeting happen and reflect upon this surreal week. I was also beyond happy to participate in the Max Planck post event that was on its own a very educational and inspiring trip. “Attending the Lindau Nobel Laureate Meeting was a once-in-a-lifetime, unforgettable, astonishing adventure that started for me with the incredible moment of winning the Lindau award at the Canadian Student Health Research Forum and being nominated to attend the Lindau Meeting. Two years later, I received the exceptional selection email from the Lindau Meeting’s committee, the consequent emails from the staff (Nadine, Karen and Nasrin) which made the trip and the stay at Lindau very smooth and the personalised programme that was tailored for my scientific and professional development interests. Firstly, I was ecstatic and thrilled to interact with the Noble Laureates. They shared with the young scientists their unique success stories in their fields of research and also common qualities which have helped them achieve the best in their scientific careers, such as perseverance, dedication, passion, kindness (and as they say, a little bit of luck!). The beauty of this meeting is how the renowned and early career scientists come together to share ideas, leading to a bidirectional exchange which not only inspires young scientists, but also stimulates the Nobel Laureates. Moreover, it was great to meet vibrant and charismatic young scientists (or future laureates, as we were often addressed!) from 84 countries. I made friends for life and it also opened doors for future scientific collaborations! Last but not the least, I loved the rich format of the meeting with diverse interactions, including laureate lectures, Agora Talks, panel discussions, poster sessions, open exchanges, special evening events and more. It gave us the opportunity to be involved in significant scientific, cultural and social exchange each day. On the last day, the boat trip to Mainau and picnic was also very exciting. A special thanks to the staff and support team as the entire meeting was superbly planned and organised. “Unless it is absolutely impossible, check it out – what good advice from Nobel Laureate Peter Agre. And I heard so many of them in just a week at Lindau. As I listened to the successful scientists talk candidly about their own experiences, with unassuming humour and self-awareness, I felt like I was part of their community, and for that I am very grateful. What made the Nobel Laureates relatable is their willingness to share moments and aspects of their life that are independent of their breakthroughs. I enjoyed chatting to Elizabeth Blackburn about studying in Cambridge and exchanged jokes with J. Michael Bishop on working with poisonous animals during a very entertaining dinner on the waterfront of Lake Constance. I also admired how Steven Chu talked about political responsibilities of scientists in combating climate change on a boat trip to beautiful Mainau Island and the vigour with which Randy Schekman and Harold Varmus championed new standards in evaluating scientific achievements. “Participating in the Lindau Nobel Laureate Meeting is a priceless once-in-a-lifetime experience for me. I particularly enjoyed both the academic and social events as the meeting covers in-depth academic research as well as offering me a unique opportunity to interact with the Noble Laureates. During the meeting, I got to know more about them and how they overcame many obstacles in their careers to be able to achieve the research that transforms many people’s lives. Along with meeting these inspiring Nobel Prize winners, the meeting also offered me a wonderful opportunity to exchange academic ideas, update the trends of current research and make friends with the young scientists from all over the world. I really appreciate and cherish the friendships we have built since it is always my desires to expand the research boundary, broaden the perspective in the field, and help to support each other in the science community. In addition, I am beyond honoured to have been part of the wonderful panel discussion along with Noble Laureate Peter Agre and young scientists from Lebanon and Germany to discuss the important topics for developing countries. I am impressed by the insight and the tremendous care for the others from these panellists. It genuinely reiterates the spirit, “for the greatest benefit to mankind,” of this meeting. I am pleased and grateful for this opportunity to have my voice heard on this far-reaching stage. 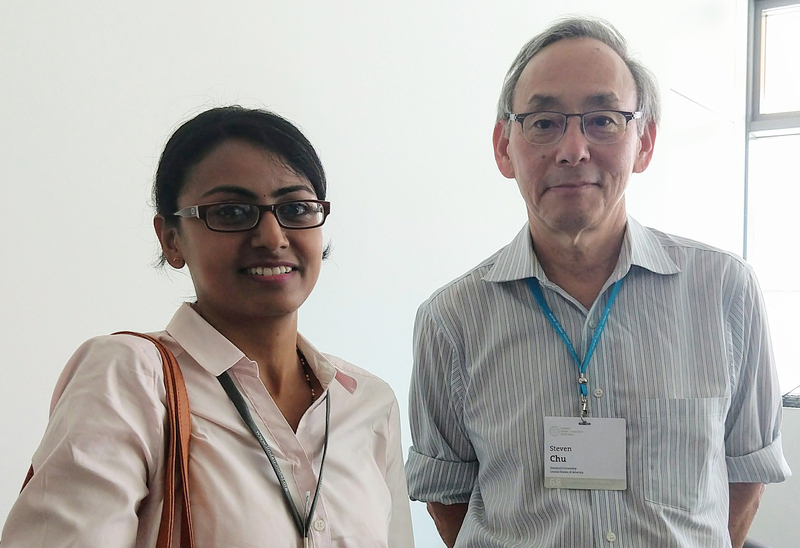 “The one week which I have spent at the 68th Lindau Nobel Laureate Meeting were the best days of my life. 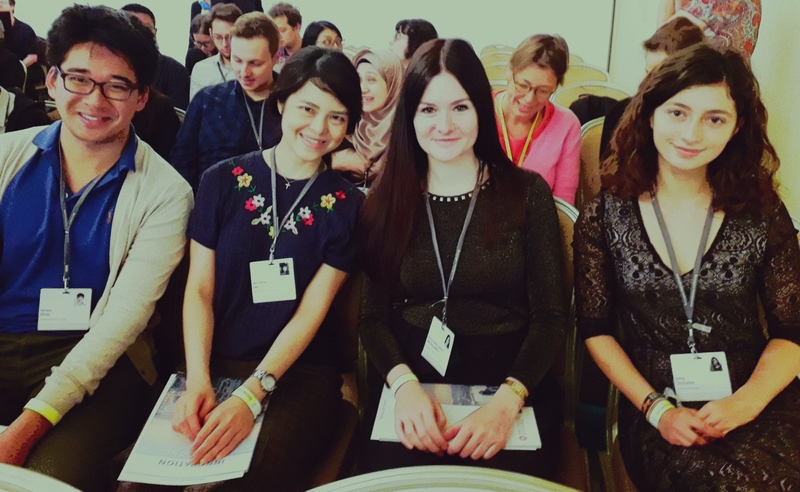 I realised that it is a once-in-a-lifetime opportunity for an early career researcher as it provides opportunity to meet a wide range of scientists ranging from Nobel Laureates to young scientists. This meeting has totally changed my vision and perspective towards science. 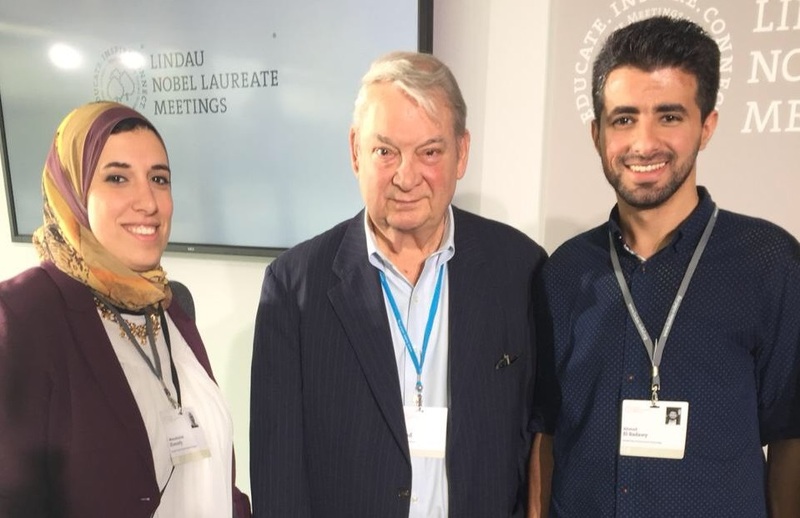 The entire week in Lindau was dedicated to exchanging knowledge, ideas and scientific intellects and some of the Nobel Laureates even exchanged their ideas about “how to win a Nobel Prize”. It was awesome to get tips from Prof. Robert Huber about scientific pursuits and maintaining a work-life balance. He had also shared his thoughts regarding facing difficulties in life, how to find balance during challenging times in life and shared his thoughts regarding moving ahead even after continuous failures. In addition, this meeting also comprised group discussion activities like the Mars Partner Breakfast, Agora Talks, open scientific discussions to exchange views on current scientific issues. These discussions and sessions have given me a great thrust, and now I am more motivated and confident than ever to try my very best in research. In addition to all this, I enjoyed this meeting to the fullest and made new friends from all around the world. 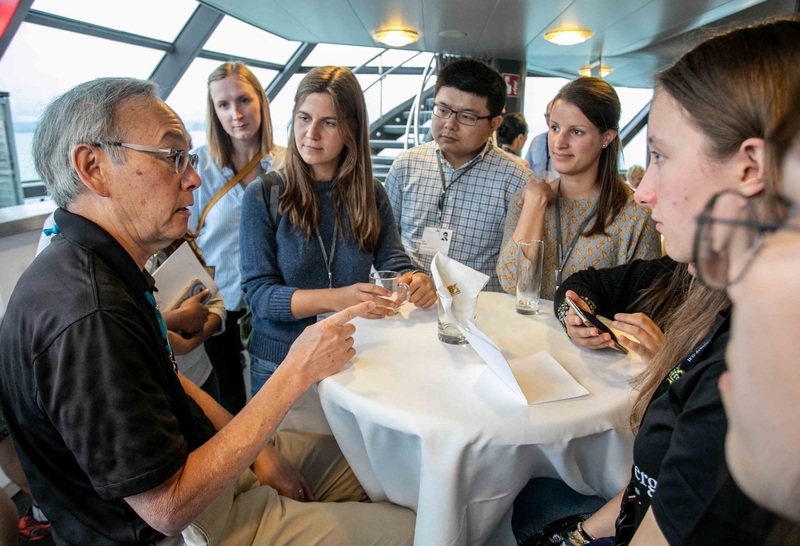 The Lindau Meeting is a one-of-a-kind meeting and provides a terrific opportunity to network with scientists across the globe, be it networking with Nobel Laureates or with other young scientists. It is one of the rarest opportunity that one researcher can have in his/her life and every young scientist must apply and go for it. 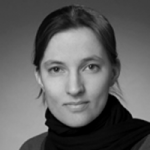 Ulrike Boehm, Ph.D. is a physicist and science enthusiast. She works as a postdoctoral researcher in the United States and lives in Washington, DC. She did her PhD studies at the Max Planck Institute for Biophysical Chemistry in Göttingen in the Department of NanoBiophotonics of Nobel Laureate Stefan Hell. She loves to develop and build new physical tools to image, probe and manipulate biological structures. Furthermore, she is passionate about science communication and a huge advocate for women in science.